A fortnight spent in the company of the impossibly cute Fiat 500 Esseesse was as enlightening as it was enjoyable. It harkened back to the halcyon days of sun, sand and passion pop. The dying embers of the 70’s when a flatmate had one of the original 500 Bambinos and how we loved it. We crammed into it for short outings with picnic baskets, rugs and bottles of cheap booze in the days when Australian wine was only good for cooking. Those days are gone, and all but a few recent attempts at retro styling have fallen by the wayside. BMW’s Mini and Chrysler’s 300 have been among the few exceptions. Each has been a success in its own way, but for the same reason: the styling did not sacrifice mod cons over the need for a “ye Olde Worlde” pastiche. 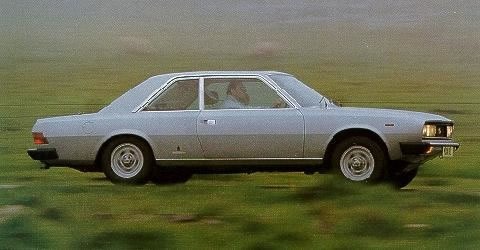 I must confess to always having had a bit of a thing for the Italians: Fiat, Alfa, Ferrari and Ducati to name but a few. 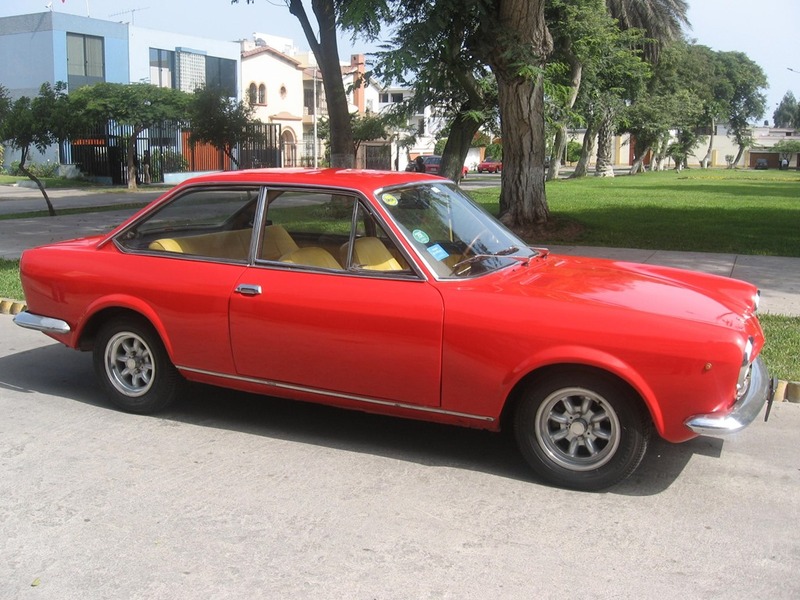 As a young adult I regularly drove the Fiat 124 sport and 130 sport and learnt to drive in Alfa’s fabulous Sud, so for me the touch of Italian dash feels like a comfortable old slipper. Fiat was absent from our shores for a short spell, but the whole Fiat-Chrysler clan are back, and aren’t they pretty? What a peach! The slightly mad design is meant to evoke a sense of days gone by without being bound by dodgy electrics and suspect build quality. 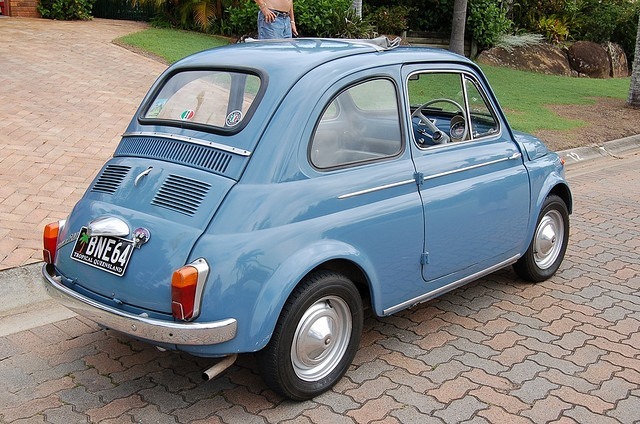 The diminutive proportions are in fact much larger than the 60’s car which served as its inspiration. They’ve managed a couple of wide doors and a hatch. There is even a soft top version which allows a section of roof to fold away in various stages. 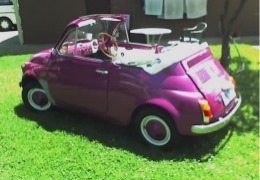 The 500 models start with a little 900cc version that looks even closer to the 60’s Bambino, and progresses through to a 132kw range topper. 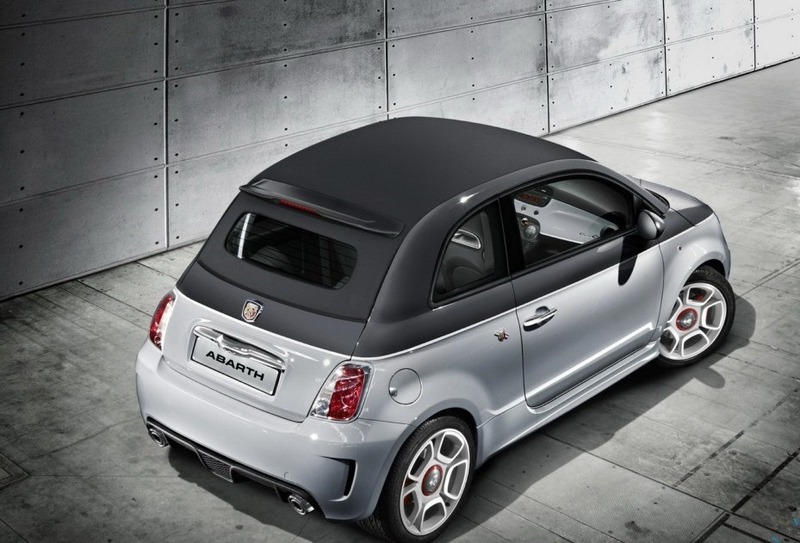 Our Abarth sits just under that top-of-the-range model. It gets decals, stripes and badging as well as wide wheels with fat tyres. 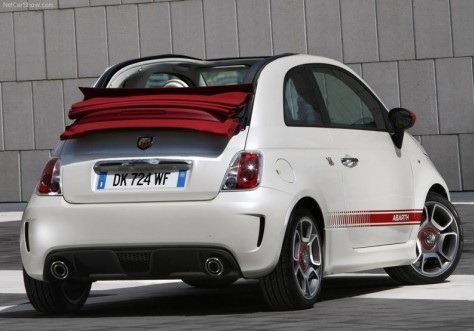 Even a casual observer is in no doubt that this is no ordinary Fiat. The capture of a bygone era has been a success because the modern materials allow greater flexibility to discreetly include the modern tech we all expect. There is a cuteness about the 500 that is really going to work for some drivers. Absolutely no complaints there. The retro theme continues inside with gay abandon. The exposed metal of the 60’s 500 has been banished. Now, a crash-friendly plastic is used on the dash and other highlights. I for one would rather hit my head on plastic than a chunk of sheet steel. 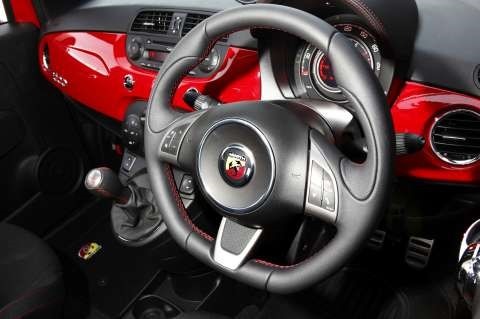 The Abarth scores the dash-top turbo boost gauge, and the carbon fibre sports seats are trimmed in leather and alcantara. I confess to being slightly disappointed with the infotainment system. It falls behind the premium market expectations. Nearly all brands have a full colour screen of at least 4” where audio, satnav and vehicle info can be displayed. In fact the 500’s Ipod function is part of the second orange dot-matrix screen directly in front of the driver. Ipod connection is only available via the USB port and only controlled via the steering wheel controls. The dot matrix LCD has the vehicle and music info displayed under menus which are a bit fussy to use when travelling at 110KPH. It also means only the driver can play DJ. A more conventional system would have all the controls in the centre console. It also allows more screen real estate for Satnav, music and even the odd DVD. 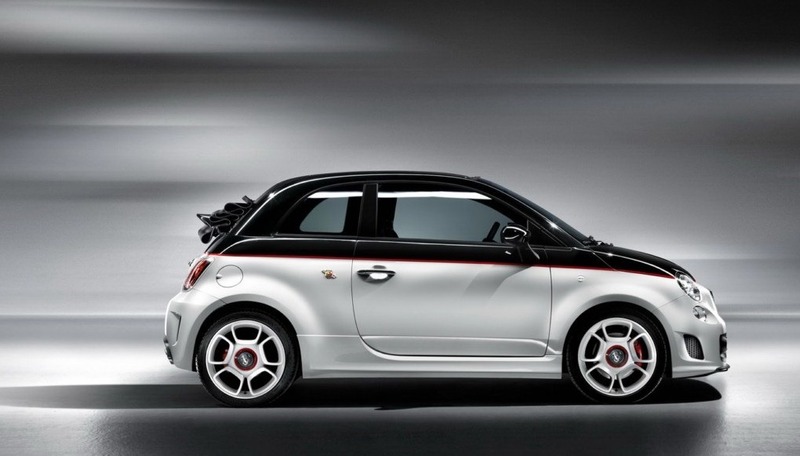 In general, petite cars are best suited to equally petite owners. A taller bloke finds it difficult to get a truly comfy driving position, so I asked my pint-sized hubby to try it out. As I suspected he jumped in and immediately found just the right spot. The seat cushion doesn’t provide quite enough support under longer legs, and as the steering wheel doesn’t adjust for reach. 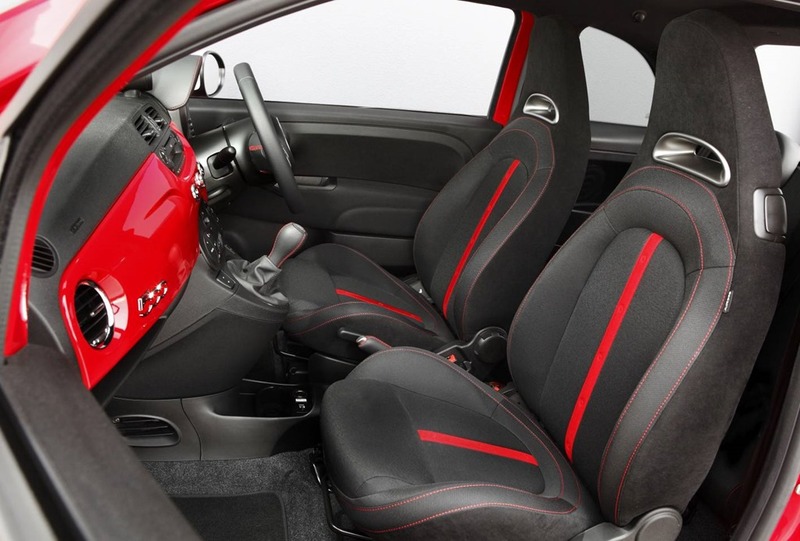 You already sit very high so you have the seat-back more upright to reach the steering wheel. There are many ways to judge the distance your shoulders should be from the steering wheel, but sitting firmly against seatback, your wrist should be able to rest on the top of the wheel. The driver’s foot rest is in an indentation in the side of the centre console. A long legged driver will have his leg jammed against the protruding handle of a stowage bin located in the same area. It’s more comfortable to leave your foot resting on the floor. Drivers of a smaller stature have no such issues. The bin is essential as the storage options are limited otherwise. The interior as retro-groovy, and is fun and funky with most of the controls in the right place. Apart from the ipod interface and foot pedals, the controls are simple to use. For me, the design is successful because of the overall effect. The sum of the elements is far greater than that of each of the elements in isolation. 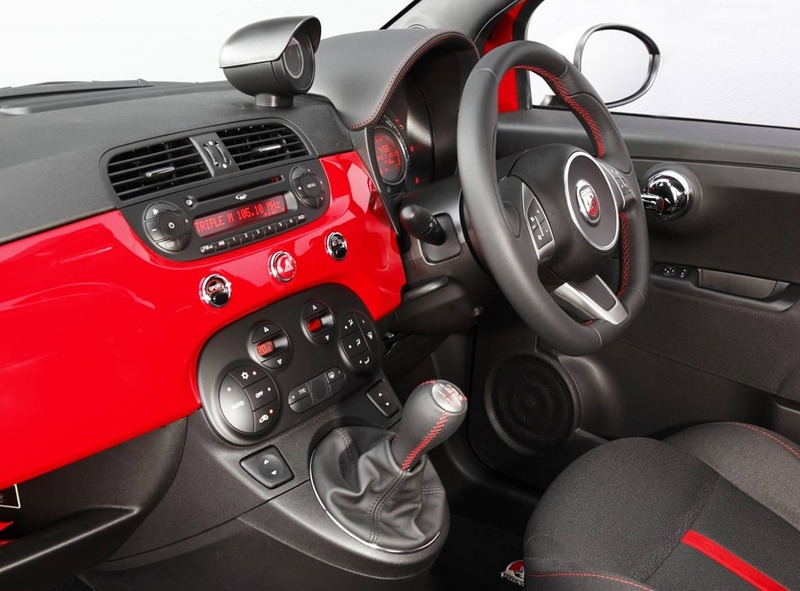 The 500 has a quirky interior that makes you smile. In fact there is a lot of smiling from the time the door is unlocked. The rear seats are really only for decoration. We did manage two beefy lads in the front and a slightly less beefy lad in the back but it was snug. It’s better being used for the David Jones bags that don’t fit into the boot. Still, it was perfectly fine to convey us to a smart street for a spot of lunch. As we unfolded ourselves to the whoops and hoots of the trendy diners seated nearby, I couldn’t help but think there was just the weest bit of envy in their yelps. The 500 buyer is the same kind of person whose deepest desire is to own a Vespa, but doesn’t like getting wet. It’s a matter of taste, so the shots of retro here and there will please some and amuse others. Fiat gave us a pair of cars: one was a 5 speed manual hatch and the other, a 5 speed Fiat-o-matic convertible. 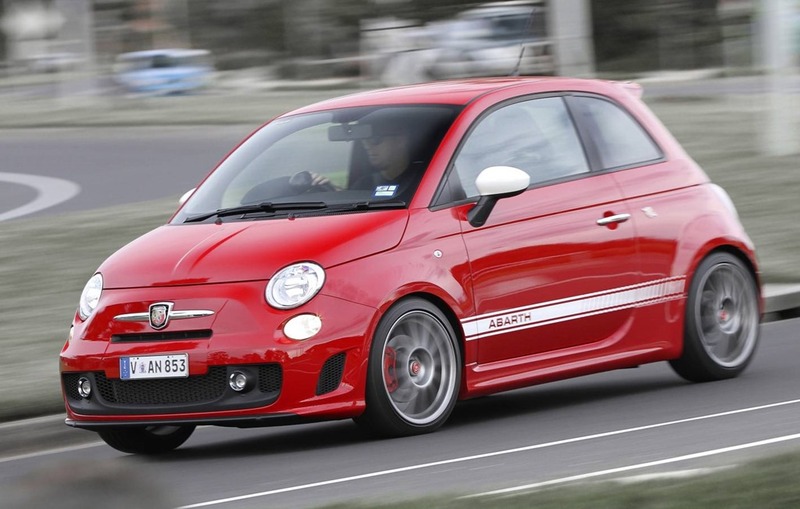 OK, it’s not really called Fiat-O-Matic, it’s a 5 speed Competizione MTA automated manual gearbox. For the rest of the day known as Fiat-O-Matic. 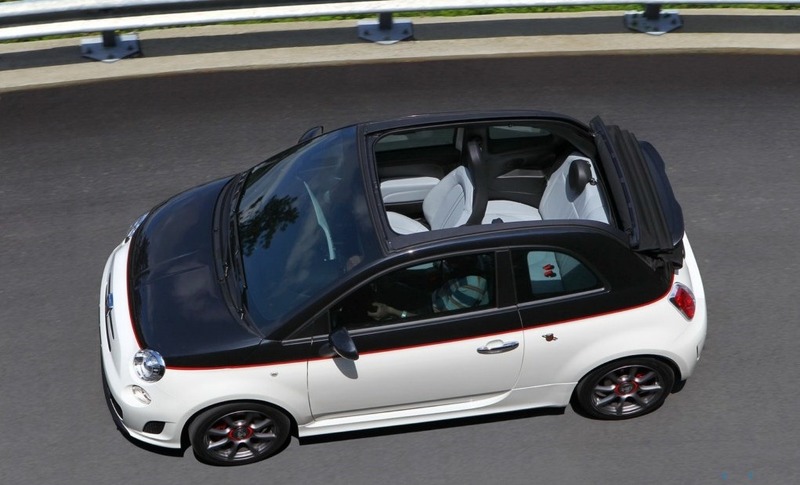 Oddly the convertible only comes with the Fiat-O-Matic. The latter is best used in the “manual” mode lifting your foot off the accelerator slightly between each change. This makes for a smooth easy shift rather than the uncomfortable lag if the gearbox is left to its own devices. This is especially true under heavy acceleration. By way of a real test, I jumped in to the 5 speed manual Hatch for a spin into the Blue Mountains for an overnight stay. A car should be able to perform multiple duties, so the boot was filled to overflowing with bags, pillows and rugs for the journey. You notice the lack of space when there is more than one person or the back is full of stuff, but this allure is just like it was in my youth. 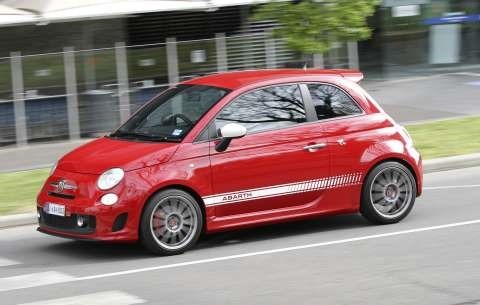 The lesser models have a slightly more compliant ride but the Abarth is very firm. Over bumpy Sydney roads the short wheelbase tends to pitch the car back and forth at city speeds. On the smooth highway the ride improves considerably. Here is where the 6th speed would have come in handy. 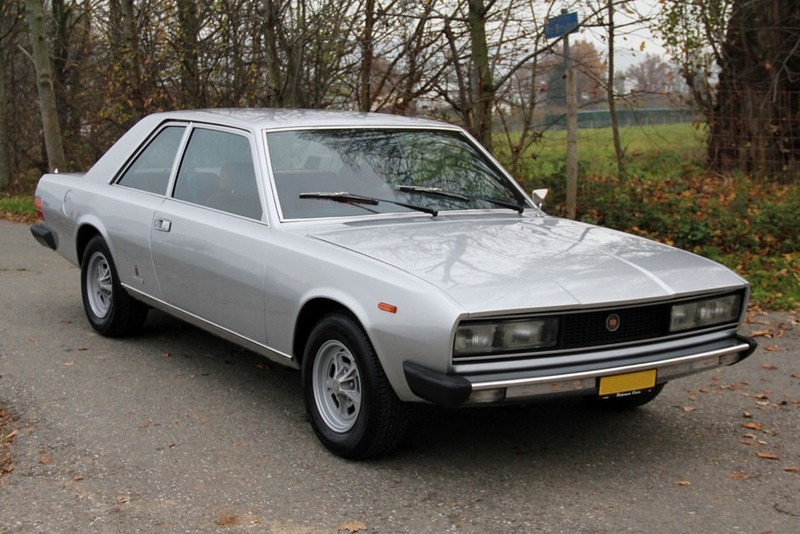 Both the Fiat-O-Matic and the manual are 5 speed only, and an extra cog or two would most welcome. Keeping the revs up at all speeds means there a ton of power available. The figures don’t tell the true story because the 500 feels quick. 118kw doesn’t sound like much but the power to weight ratio in a 1035kg car returns a decent 7.5 second sprint to 100. Of course most of us will want to keep the “sport” button pushed but this has a detrimental effect of the fuel consumption. While on the road I continued to reposition the seat in an attempt to find just the right spot. As I said earlier, only the rear of the seat cushion adjusts for height leaving the side bolsters and seat back at the original position. Having the cushion adjusted too low tends to cut off the circulation to your legs so leaving a bit of altitude seems preferable. It feels too high though. Once in the mountains I took a detour from the main road to give the old girl a proper workout. For me this is where the whole package came to life. The engine begs to be kept singing which makes the response snappy. The gear changes are easy via a light clutch and notchy gearbox and after a short while the 500 feels very much like an extension of the driver. She changed direction instantly with little body roll and corners like a go-kart. It was an absolute joy. Like all Italian cars, the 500 loves to be put to work and I found myself back in my teens lapping up each corner with the gusto of a schoolboy. Too soon the corners and hills were behind me and I was pulling into the drive of the quaint little house perched on a cliff top, with the blue mist swirling far below. I pulled on the handbrake but grabbed the seat cushion height adjuster instead as it’s only a few cms from the brake lever. Thankfully I realised my mistake before reefing the plastic handle off its mountings. As I sat on the deck overlooking the valley, I reflected on the drive. I sipped on a large martini and weighed the pros and cons of a perkily powered city car. The price of around $34,000 is a lot for such wee transport. The cabin can be a bit noisy but somehow it makes the experience better not worse. 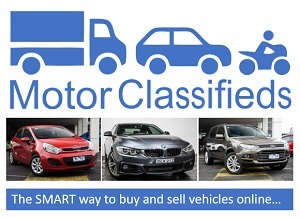 The following are not included: Satnav, Auto Wipers, Auto Headlights, Auto Transmission (or CVT), Auto Dimming Mirror and Reversing Camera. Does this really matter? In a way it does, because the completion in the segment has most of them. The Polo GTi has more power from the same size engine, gets better fuel figures, is cheaper, has a DSG, better ride and arguably more space. The Clio by VW is faster and is the poster child of hot hatch lovers. Finally, although much more costly, the Mini Cooper S offers a better all-round package while being similarly retro. The ride is set up in favour of handling so smooth roads are best. 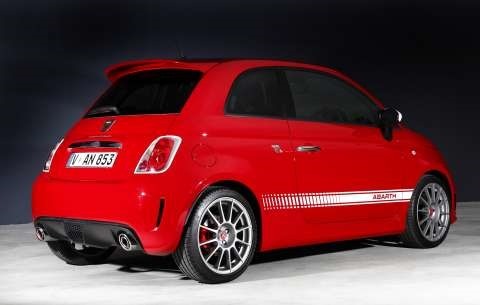 Even so, everything the 500 Abarth does, it does with style and a panache that money can’t buy. I loved each gear change and I loved the way the Fiat made me feel. 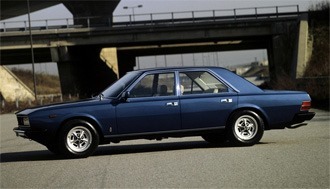 I didn’t much care for the Fiat-O-Matic so the manual would be the one for me. I also loved the bemused looks from fellow drivers, and there is no doubt a smaller driver would have been more comfortable especially on a longer journey. As I took another sip my mind wandered back to those long gone days and the Chianti cheese baskets we used to throw in the back seat. 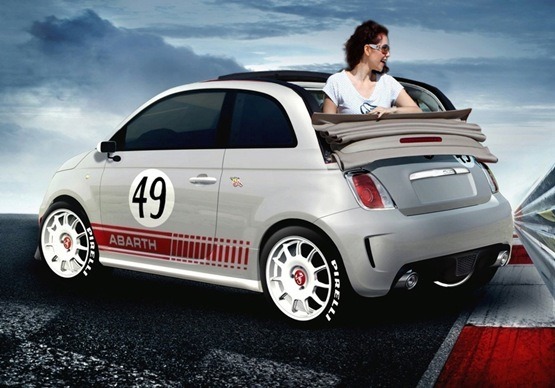 I thought about lazy Sunday afternoons laying on a checked rug under dappled light, and in my vision, the 500 Abarth Esseese was parked at a jaunty angle just behind. 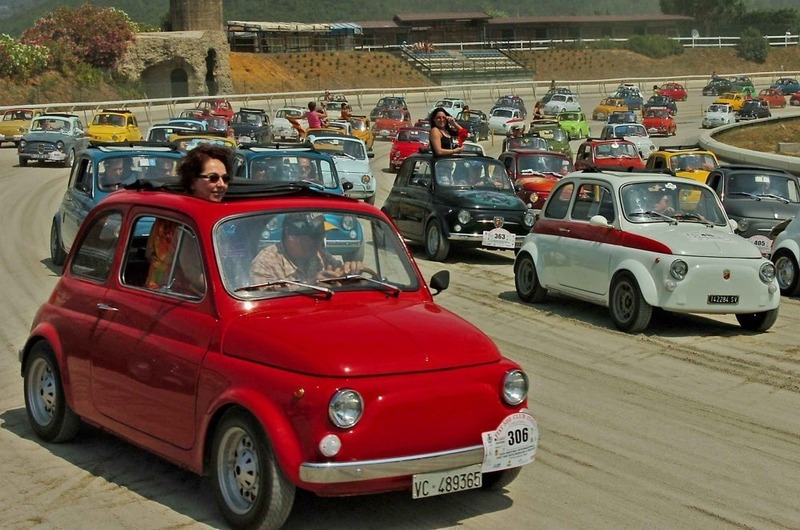 I had a sudden urge to buy a Fiat of my very own to relive those wonderful days because the 500 does now what it did then. It makes life fun, and unlike the old days we can get to our picnic quicker and in climate controlled comfort. You aren’t buying a car, you are buying a lifestyle. 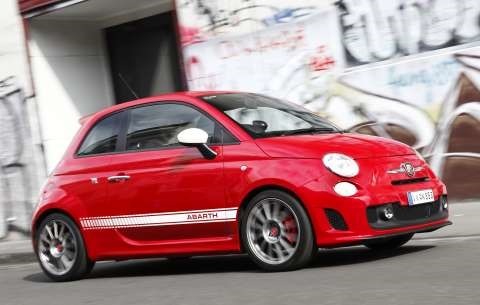 The 500 Abarth says its owner is hip and fun likes things that are a bit unconventional, and why not. I simply couldn’t go away your website before suggesting that I extremely enjoyed the standard information an individual supply for your guests?